Its name may actually be Mandarin Noodle Deli, if you believe its website (which is chefyangnoodledeli.com, by the way), but all signage and the menu calls it The Noodle. Yelp has listings for both, even though it’s the same place. 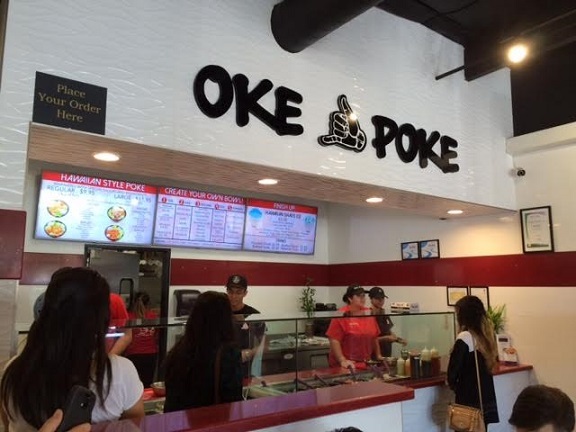 This spot opened in 2015 in the same center as Chaparral Lanes, I think taking over from Peking Deli. 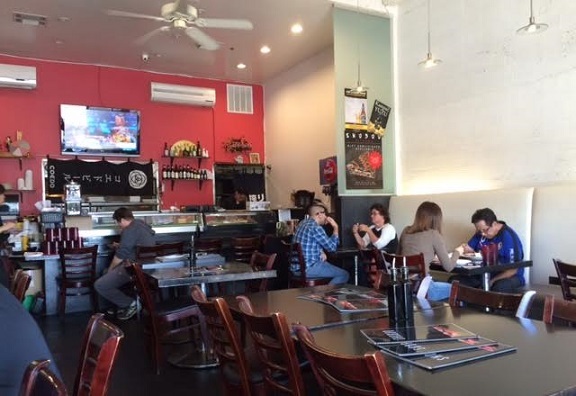 The center has a row of four storefront restaurants, including Japanese, Mexican and Chinese. 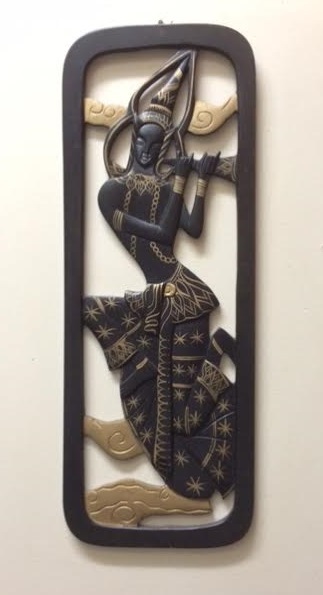 A friend and I ate lunch here recently. It was my choice of which spot to try, so after walking the length of them and eyeing menus at the entrances, I used my noodle. The foyer was busy with takeout orders, hanging chickens and a greeter station. We were seated immediately. 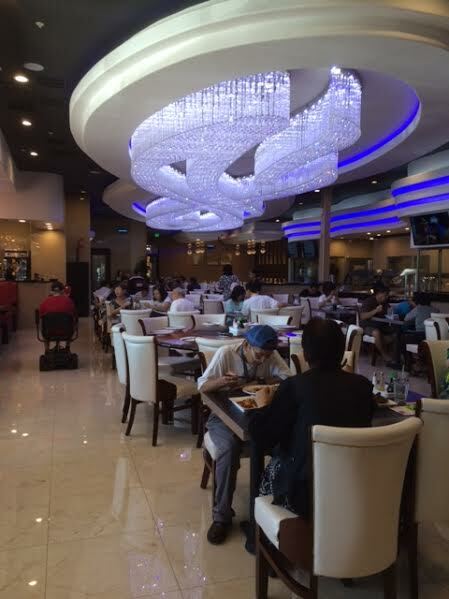 The dining room has a modest sense of style, including chandeliers and nicely appointed booths. We took a table, which are set up in rows as in many Chinese restaurants, where there’s a kind of food hall atmosphere. The menu is nearly endless, page after page, and then there was a lunch menu. Specialties seemed to be barbecue, build your own soups and noodles; someone on Yelp who might know what they’re talking about said the food is from the northern province of Shanxi. 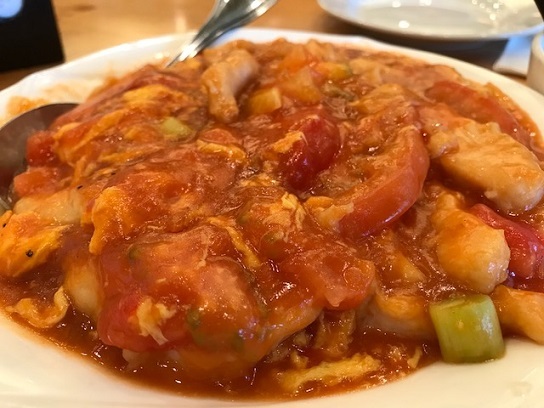 We ordered off the lunch menu: tomato with egg and chicken ($8) and seafood congee ($8.58). You’ll notice neither has noodles, but that wasn’t intentional: In my case, the server arrived and I chose something. We also got milk teas, one hot, one cold ($1.78 each). 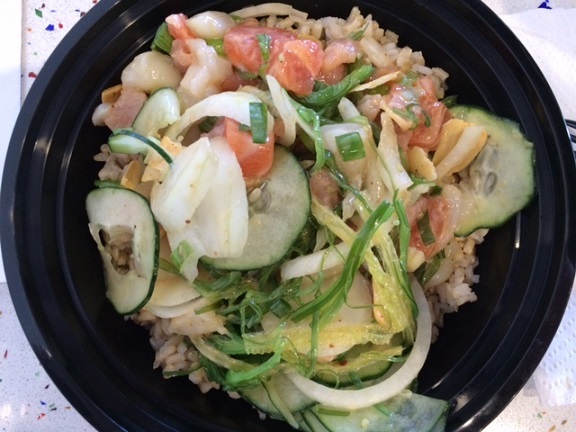 We should have got an order of rice, but it didn’t occur to us. Eh, nobody’s perfect. We liked our items, and each other’s. We also liked the farmgirl-style outfits the servers wore, with checked shirts and matching kerchiefs. This post is more of a “this is where I had lunch” write-up than a very knowledgeable one, I’m afraid. Forgive me for kind of slipping on The Noodle. 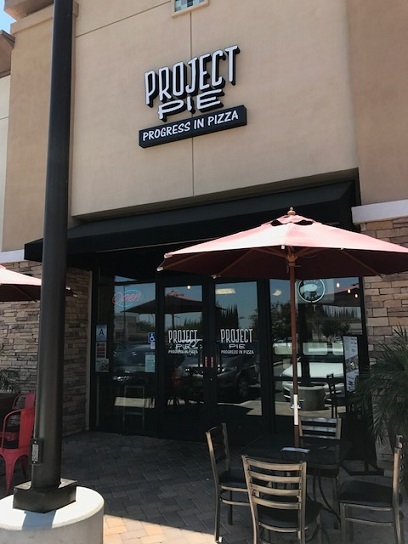 I noticed Project Pie a year ago while heading to another restaurant within the Commons shopping center. Initially disappointed it was a pizzeria rather than a pie shop, I was open to trying it sometime. 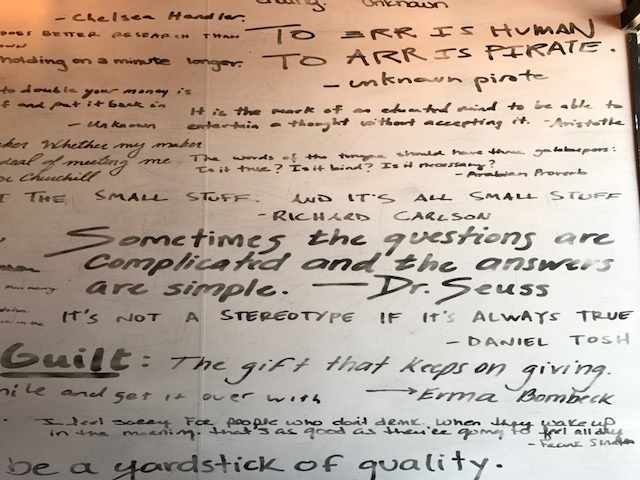 A year later, meeting a friend for lunch and a movie, Project Pie came to mind. 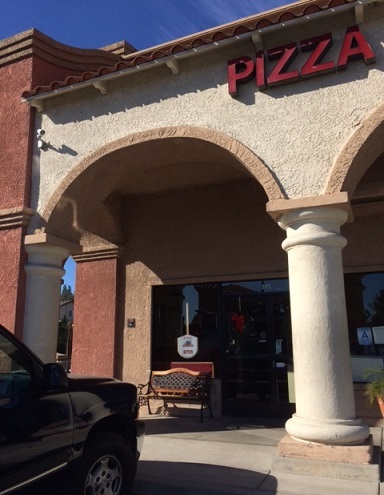 It’s another fast-fired pizza place, where your food is cooked in about two minutes. 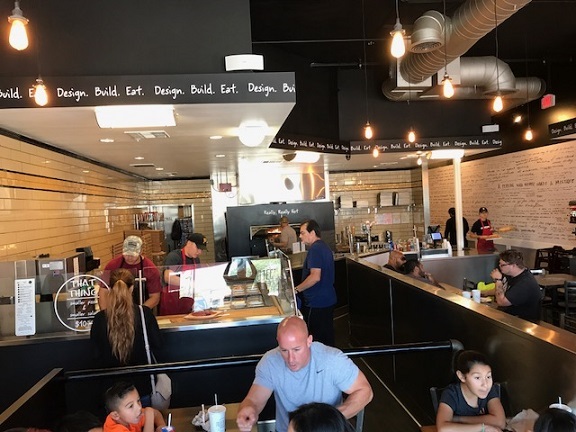 Project Pie has only a few locations; oddly, its website lists three (Chula Vista, Eastlake and Carlsbad) and doesn’t cite Chino Hills. Thankfully I took photos or I might wonder if I imagined the whole meal. The menu is pizza (most are $9) and salads ($4.50 to $8.50). 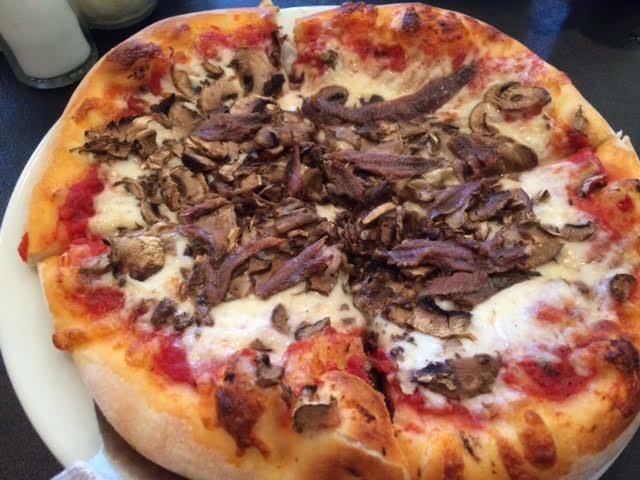 You can build your own pizza, or choose from the pre-selected options, most of which are white pies, without tomato sauce. I got the No. 4: sliced tomatoes, basil, mozzarella, parmesan and garlic. Its crust was crisp and charred, more so than at other such places. 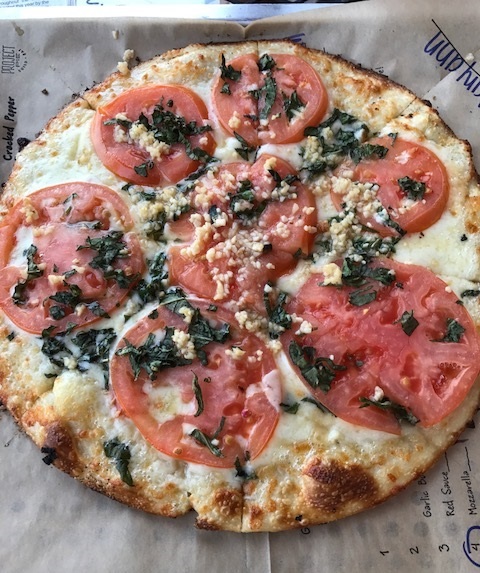 While I still prefer Blaze to its competitors, including Pieology, Project Pie was among the better ones I’ve tried. That completed our lunch project at Project Pie. 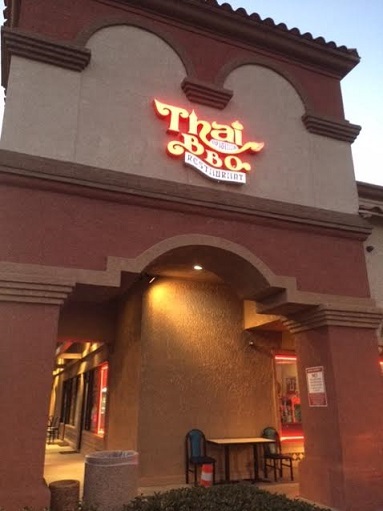 Thai Original BBQ, 2911 Chino Ave. (at Peyton), Chino Hills; open daily, 11 a.m. to 10 p.m.
Ah, the food of Thailand. 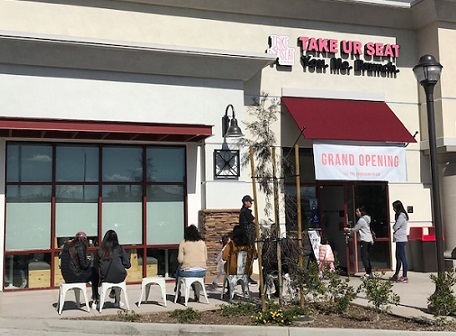 With Chinese food on the rise thanks to a wave of immigrants, Thai cuisine is kind of waning, it seems to me, aside from Pok Pok and Jitlada in L.A.
Thai Original BBQ has been in the Rolling Ridge Plaza for some years, so it’s nothing new either. But a Thai-shy friend had tried it out, liked it and suggested meeting there for dinner. There’s a fish tank as you walk in and the walls have a lot of tourist posters, not to mention portraits of the Thai royal family (RIP). You get the sense that the owners haven’t redecorated in a while, but the look is comfortable and lived-in. So was our sagging banquette. We examined the menu closely. 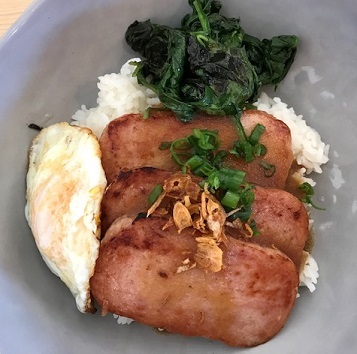 It has the standards in pork, chicken, beef, noodles and rice dishes, but with more emphasis on seafood than is often seen. 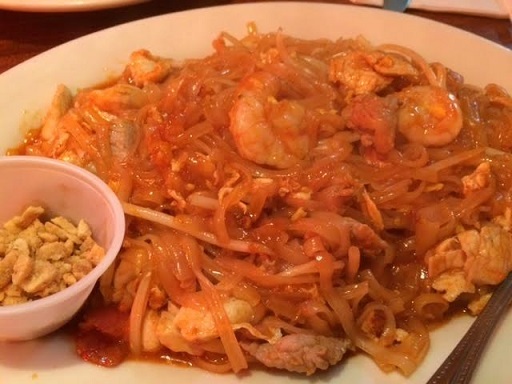 I got the mixed pad Thai with chicken, pork, shrimp and tofu ($10 for the basic, probably a couple of bucks more for this version), which was solid and unspectacular. My friend had the crab cakes, which appear on the menu as “Dearest Crab” (! 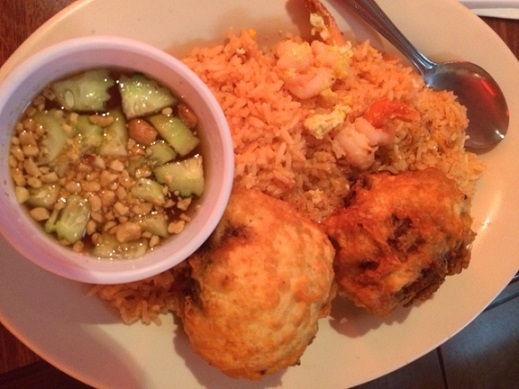 ), two fried crab cakes the size of baseballs with crab, pork, mushrooms and onion, served atop shrimp fried rice ($13). We liked it. If you’re married and eating there, call your spouse “dearest crab” at your own risk. Service was attentive. 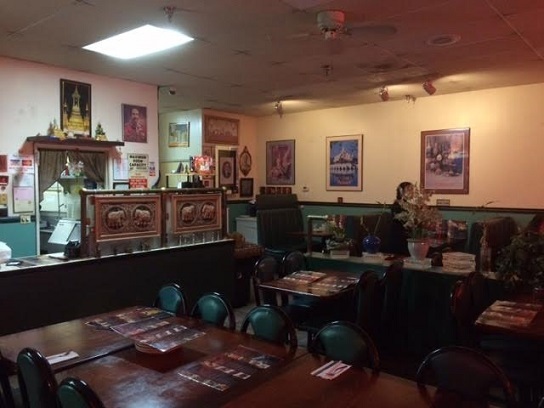 Overall, this was a pleasant, old-school Thai experience but an unexceptional one. 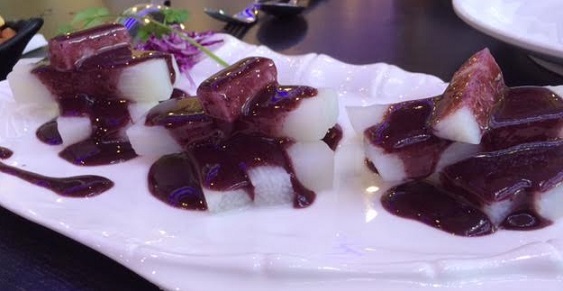 The restaurant is part of a small chain founded in 1978 that has locations in LA, Fullerton and Cerritos. 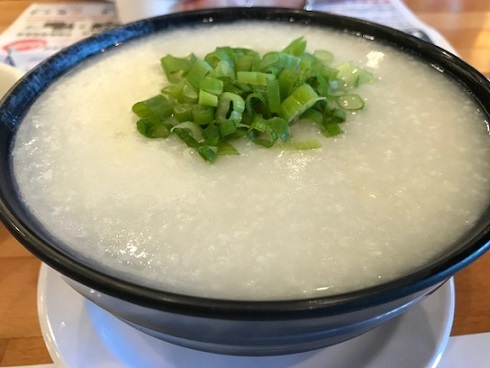 Tasty Noodle House, 2947 Chino Ave. (at Peyton), Chino Hills; open daily 11 a.m. to 10 p.m.
Chino Hills, as has been noted here before, has the best Chinese food in the Inland Valley. I was planning to eat at Noodle House, but it looked full, and right across the shopping center driveway was a larger restaurant. So I went there instead. 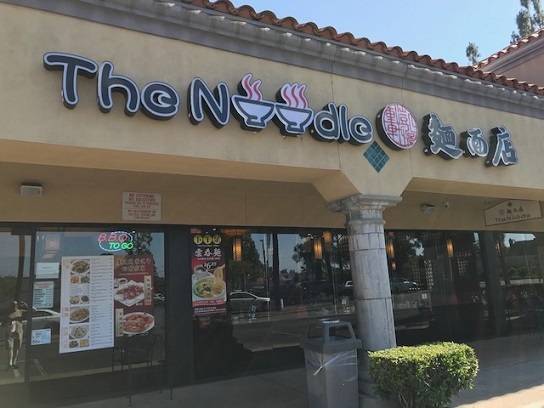 Not that it occurred to me until later, but the second place had the same name plus an adjective, and given the choice between Noodle House and Tasty Noodle House, who wouldn’t upgrade to the tasty one? 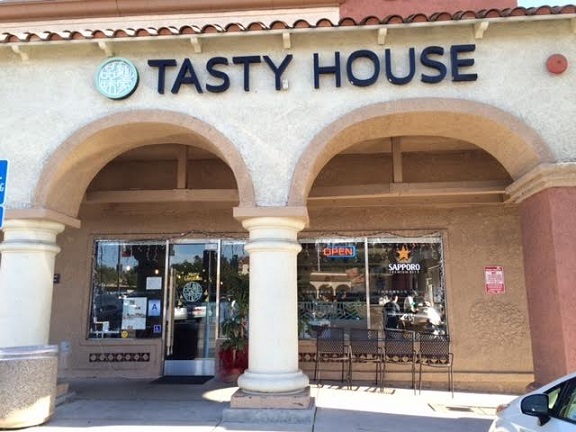 The sign says simply Tasty House, either due to space considerations or politeness to its neighbor, but the menu and receipt say Tasty Noodle House, which is a Southern California chain of at least seven restaurants, including Walnut, San Gabriel and Irvine. 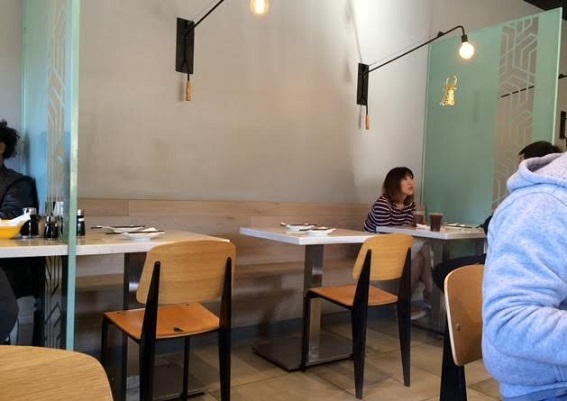 Tasty’s interior is immediately appealing: blond wood, benches, slim hanging fixtures and large windows. Scandinavia meets Shanghai. It was bustling, but there were empty seats, and I was given one, as well as the typically extensive menu and time to look it over. I ordered xiao long bao ($7.50) and sauteed spirals (mushrooms) with leeks ($12), plus a taro milk tea ($3). 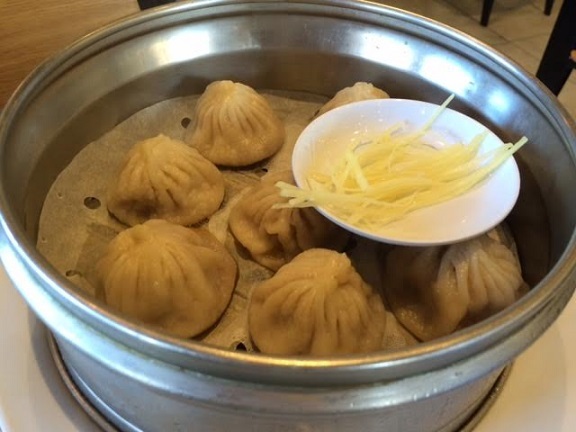 The pan of eight XLBs, or soup dumplings, weren’t to the Din Tai Fung standard and were more dumpling than soup, but that didn’t bother me, and they were a good choice. The leeks (one must have one’s greens) were sauteed with mushrooms and carrots and were very good too; half were taken home, making the price, which seemed a bit high, more palatable. And I liked the taro tea. 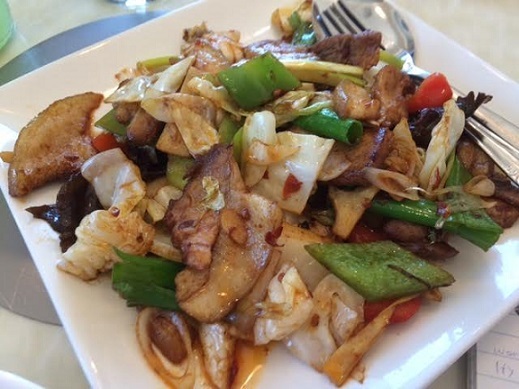 By Chinese restaurant standards, the service was friendly, I liked all my items and would go back. It’s only a block from the multiplex, which was my next stop after lunch. Nothing wrong with regular old Noodle House, though. It’s tasty too. 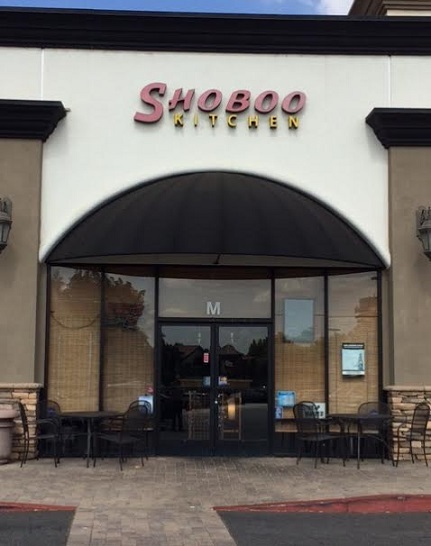 Shoboo Kitchen, 3626 Grand Ave. (at the 71), Chino Hills; open daily until 11 p.m. except for Sunday, 9 p.m.
Chino Hills without a doubt is the best city for Japanese food from there to Rancho Cucamonga. 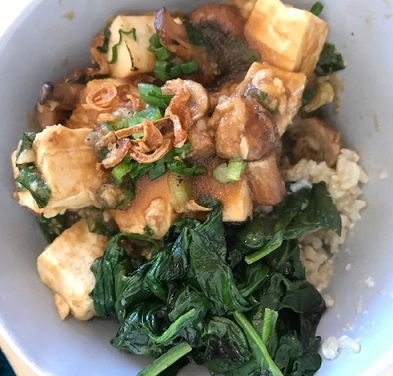 I’ve tried three or four Japanese restaurants in Chino Hills over the years and all were good to excellent. (Ojiya was the best.) I’m quick to say I’m no expert on the cuisine. 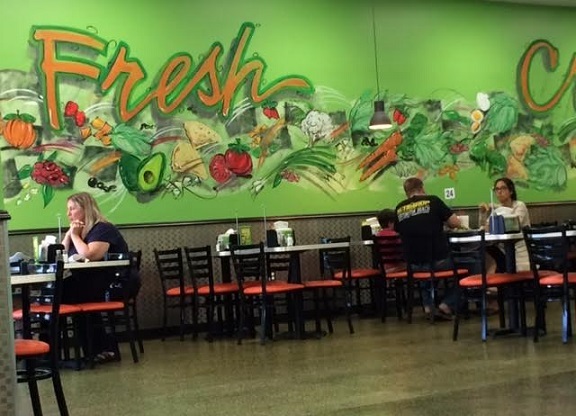 Recently I met a friend at one of the others, Shoboo Kitchen, which is located off the 71 Freeway in a center with a Sprouts market, See’s Candies and a Chick-fil-A. Shoboo is relatively small, seating maybe 30, and while people talk about a line at lunch, there wasn’t one on the Monday we visited. 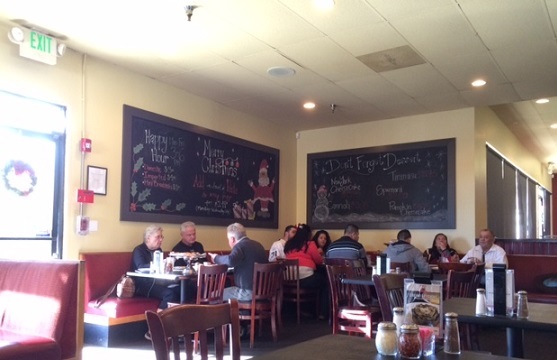 The menu is extensive, and even the number is lunch specials is large. There’s a Lunch Special A list of a dozen items (each $9.45) and a Lunch Special B list of another dozen or more (each $11.45). I was examining those when my friend pointed out the bento boxes on another page. 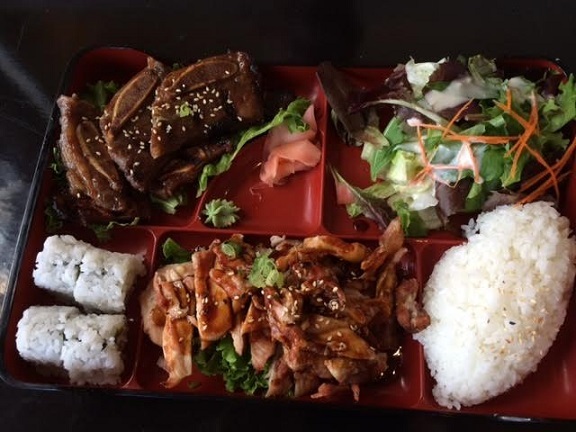 We each got bento boxes ($10), a segmented tray with rice and salad. 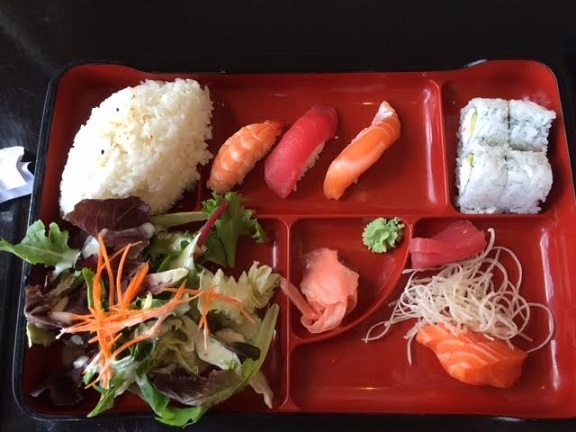 He ordered hot items: pork ribs and chicken; I ordered cool items: sushi and sashimi. (Between us, did we have the McDLT of Japanese food?) Anyway, I would rate the lunch good, not great, but certainly worth the money. The atmosphere was on the low-key side, a plus from my perspective. Just a nice, homey place. 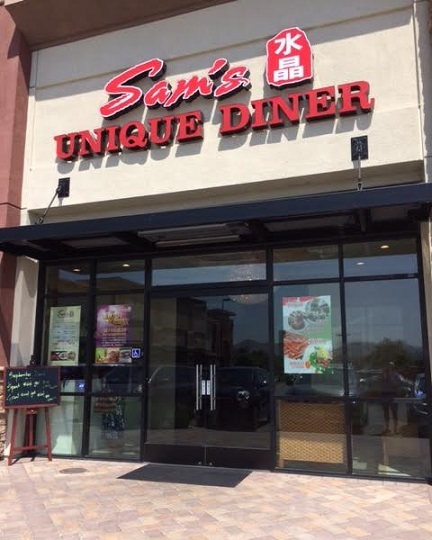 Don’t let the name fool you: Sam’s Unique Diner is not a hash house with a waitress named Flo but rather a Chinese restaurant, and a stylish one. It opened in the Commons shopping center a few weeks ago. The entry looks like a hotel and the dining room has a chandelier. 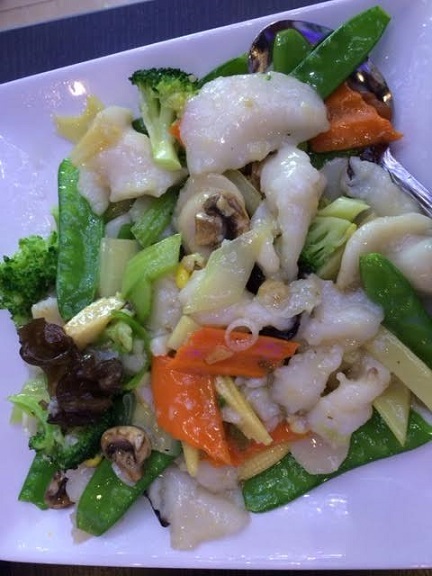 I was there for a group lunch recently and ordered off the lunch menu, not dissimilar from that of many Chinese restaurants. I got the most exotic sounding item, twice cooked pork ($8, below), and liked it. But the restaurant, I could tell, was better than the orange chicken, kung pao chicken and other standbys on the lunch menu. So I returned for a weekend lunch with a friend. We had westlake beef soup ($11, not pictured); yam with blueberries ($10, below); beef with cumin ($14, second photo below); and fish filet with vegetables ($11, third photo below). The yam item was the only one we thought was just okay. The white yams had a taste like jicama. Pleasant, but dull. 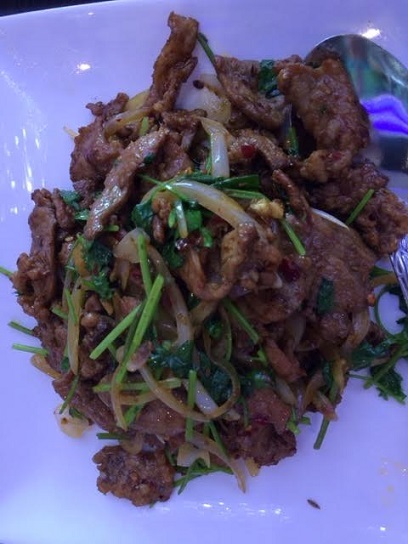 I love cumin dishes and beef with cumin did not disappoint. The soup was good as well and we liked the light, moist tilapia in the fish filet. The expansive restaurant has private dining rooms and a covered patio for groups. 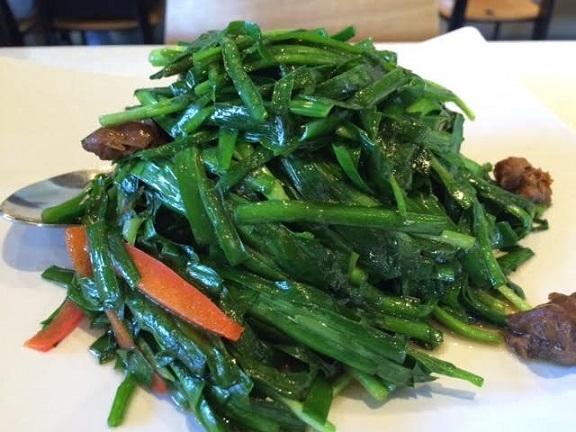 It’s said to have Sichuan, Cantonese and Shanghai-style cuisine. 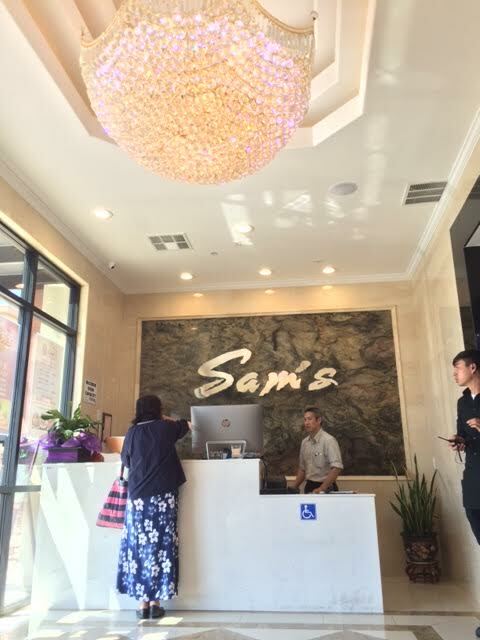 Chino Hills has a number of authentic Chinese restaurants and Sam’s is among the best, and in what may be the most spectacular restaurant setting in the city. 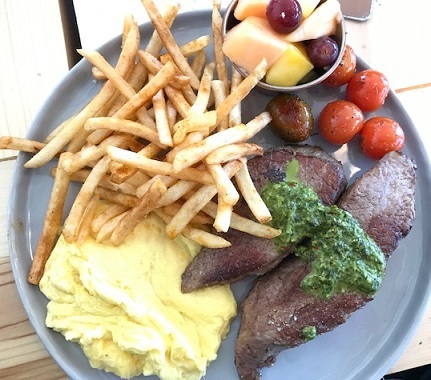 The above is, by the way, the most high-falutin’ street location of any of the hundreds of Restaurant of the Week posts here, but pay that no heed. This is simply a restaurant, one where you order at the counter, in a fairly ordinary neighborhood, even though there must be golf nearby. It’s not in the shopping center on the corner of Soquel Canyon Parkway but in a small complex north of there. 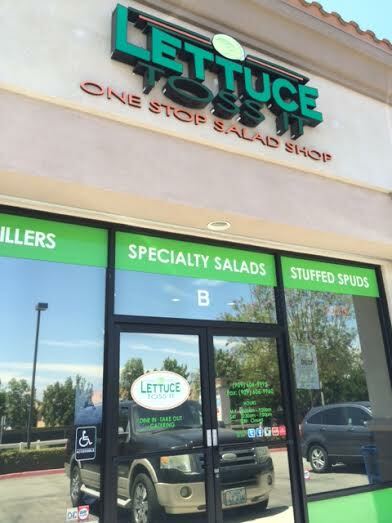 With that out of the way: Lettuce Toss It, a pun business name of which I approve, is one of the few places in these parts that specializes in salads. I had lunch there recently with two friends. 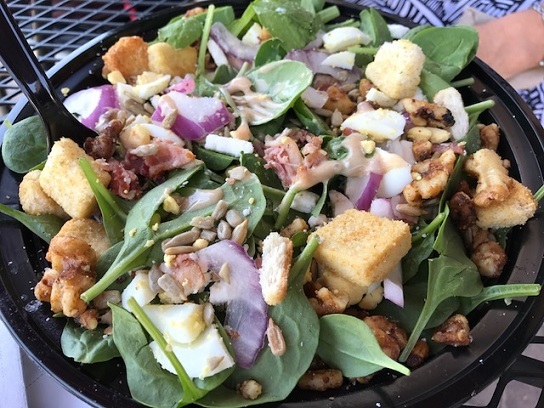 There are 16 pre-designed salads, some of which sounded good to me; I almost opted for the Strawberry Sweetness before deciding to go for the Toss It Your Way, in which you pick the lettuce, six toppings and a dressing ($8.50). 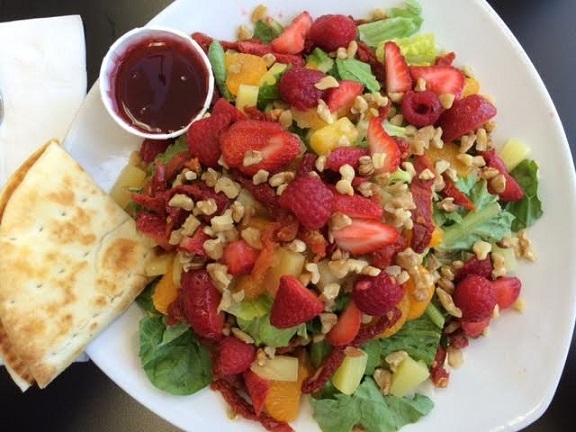 My choices, for the record, were spinach, with walnuts, raspberries, oranges, pineapple, strawberries and sun-dried tomatoes, topped with raspberry vinaigrette. 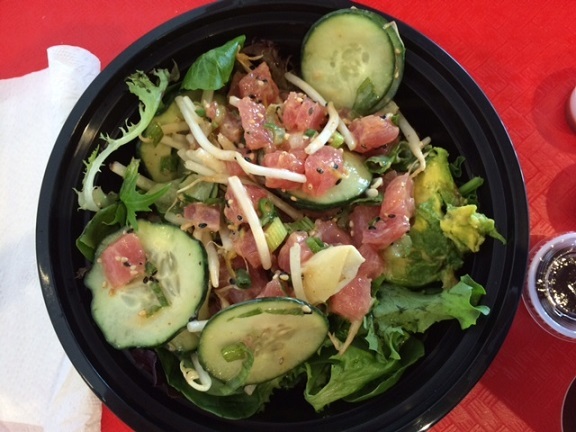 (This was my attempt to recreate the Panera summer salad I like.) Very good, and very colorful, although the sun-dried tomatoes, as I suspected at the time, didn’t really go with the salad as composed. 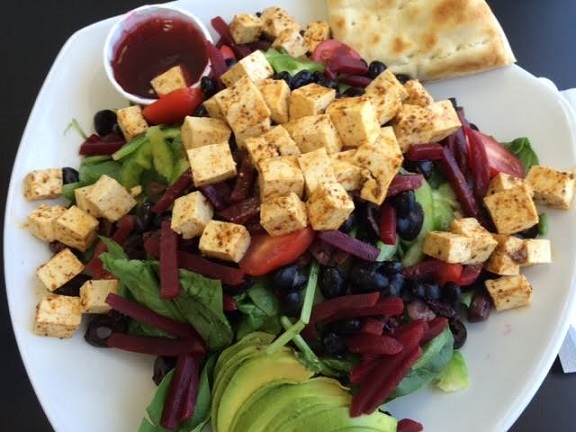 A friend also built her own salad: spinach, green and black olives, tomatoes and green peppers, adding grilled tofu ($1.50) and avocado ($1.25). “I really outdid myself,” she bragged. The vegetarian had been here twice previously and liked her salad. 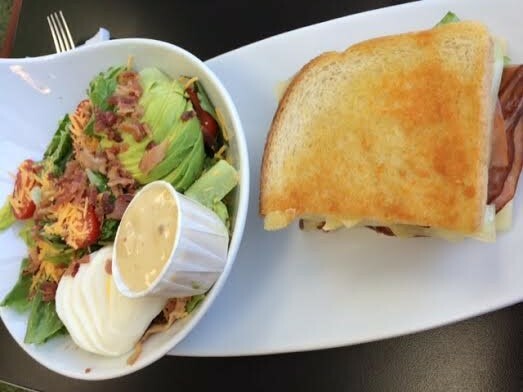 The third got a salad-sandwich combo: half a JJ’s Ham and Swiss (plus sourdough, mustard and romaine) and the half Cobbler Gobbler Salad (turkey, bacon bits, cheese, tomato, romaine, egg and avocado). I don’t know why there’s not a scoop of peach cobbler in the Cobbler Gobbler. Price was not noted. “Soooo good,” he reported. 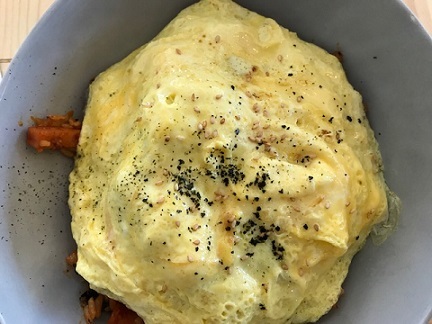 “I walked in full and thought I would eat only half, but I ate the whole thing.” He’d been here once before and, unaccountably, had a cheese quesadilla, which he said he liked. The menu has sandwiches (which include my baseline sandwich, the tuna melt, and yes, I almost ordered one), which come with a side of chili, fruit or a salad, as well as wraps and baked potatoes. And quesadillas. And cookies (3 for $1.50): We had the chocolate chip, three of them, and enjoyed them. 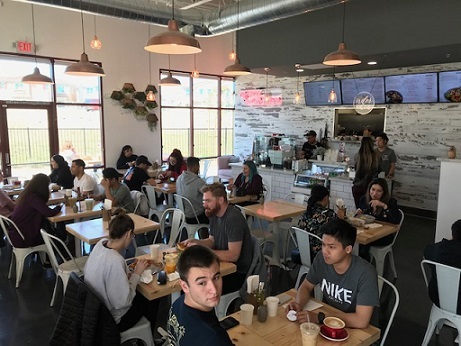 We all liked the place, which opened a couple of years ago and is popular enough to have expanded into the vacant storefront next door, vastly increasing the seating capacity. The menu is well thought out and the name catchy, which made me think Lettuce Toss It is a chain, but it’s not. Maybe it will become one. Until then, check them out in Chino Hills, and bring a copy of a Lettuce Now Praise Famous Men. 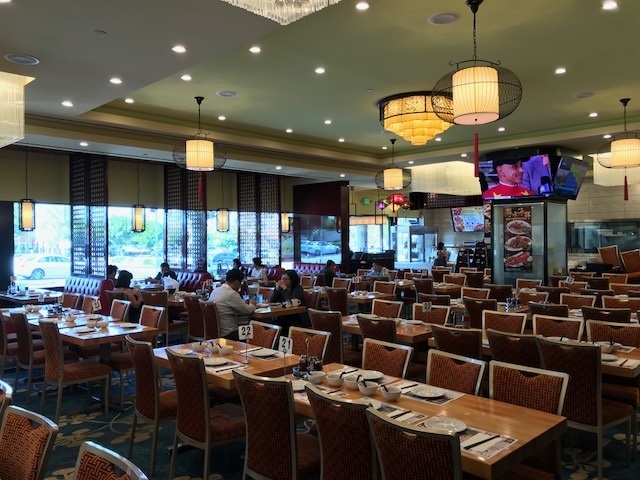 JoJo’s has been in Chino Hills since the 1990s, practically the dawn of time by that city’s standards, operating from the Crossroads Marketplace shopping center in the north part of town. I’d had takeout pizza from there once with friends who lived nearby but visited for the first time recently for lunch with a fan of the place. 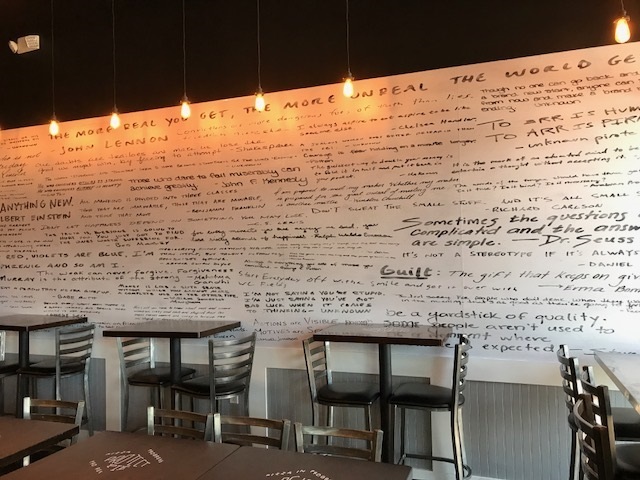 The menu has pizza, pasta, salads, calzones, sandwiches and entrees, some of which are unusual or unique: Italian mac and cheese, risotto bowls, shrimp diavolo. 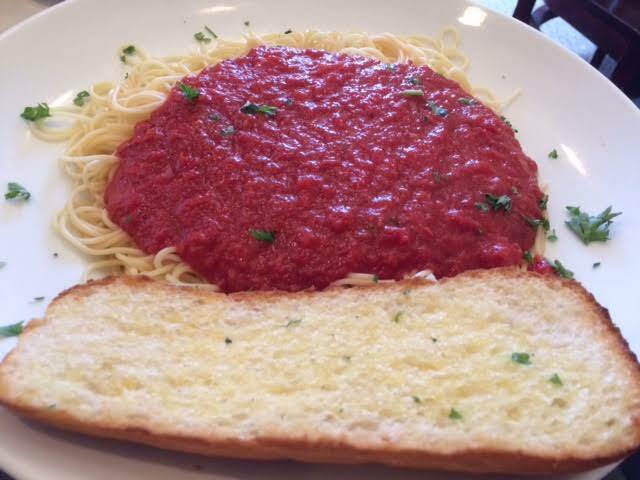 I had a mini, 8-inch pizza with anchovies and mushrooms ($9.65) and my friend got angel hair pasta with marinara sauce ($9) plus a side salad ($3). Hearty pizza, generous with the anchovies; the pasta was proclaimed worthy, and some was taken home. Asked what else is good here, she recommended the stuffed artichoke, focaccia salad, caprese salad and cannoli. JoJo’s is said to not be as quality conscious as when the original owners had it. People on Yelp are of two minds, with some saying it’s overpriced or the service is poor and others praising the food and service. Our service was acceptable, although a cup of coffee took 10 minutes to procure, and was delivered not on a saucer but on a plate. That was a little weird. 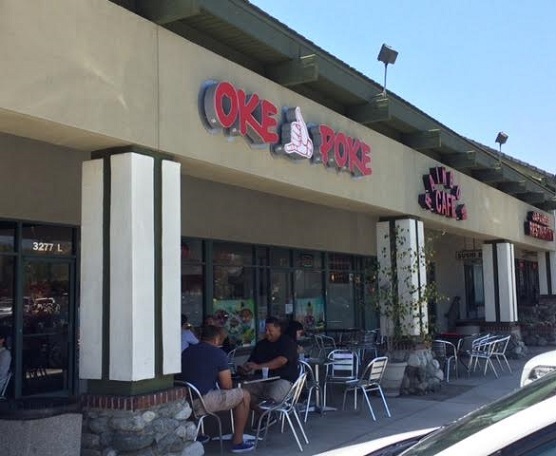 There are also locations in Brea and Mira Loma. But those are farther away.